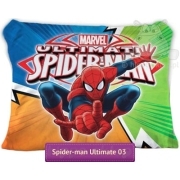 Kids beach and bath towel with Ultimate Spider-man theme from Disney XD / Marvel animated series. 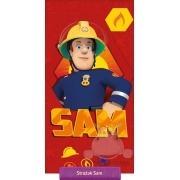 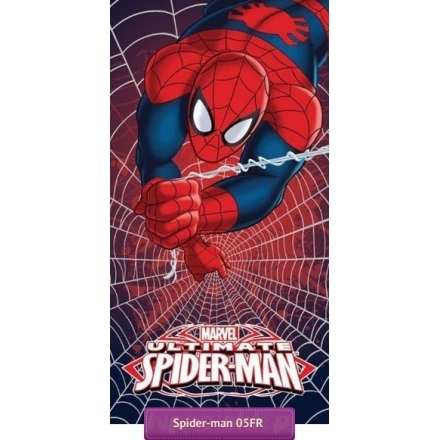 Kids towel with large character of Spider-man with net in the red background. 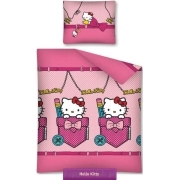 Kids beach and bath towel size 70x140 cm made under license of Disney Marvel Ultimate Spider-man of 100 % cotton, one side velor finished and printed.